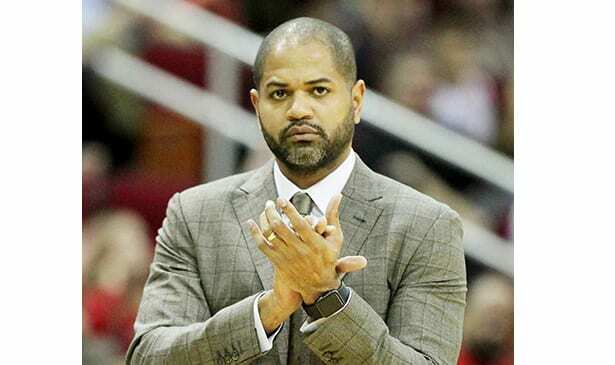 The interim tag was officially removed last week as the Memphis Grizzlies reached agreement with J.B.Bickerstaff on a three -year deal to become their head coach. Despite a woeful 15-48 record compiled over his 63 game stint as interim head coach following the firing of David Fizdale, Grizzlies’ management felt Bickerstaff communicated well with a very young team, and kept them competitive most of the time. It also helped that team veterans and cornerstone players Mike Conley and Marc Gasol were solidly in his corner, expressing public support for Bickerstaff to be named the next coach. The Grizzlies didn’t even bother with a search or interviewing other candidates. The Grizzlies were without the services of Conley for most of the season. Tyreke Evans, who had a breakout season when healthy, also missed 30 games, in part because there was a question at one point whether he would be traded. Gasol also didn’t have a stellar season, and his early clashes with Fizdale led to Fizdale’s departure only 19 games into his second season as the Grizzlies never recovered from their 7-12 start. But with a healthy Conley teaming with Evans, a revived Gasol and a possible top three pick in the draft. Grizzlies’ management envisions a return to the playoffs in the 2018-19 season. This is Bickerstaff’s second full time coaching stint. The first was also in an interim spot, as he replaced Kevin McHale with the Houston Rockets in 2015. They reached the playoffs with 37-34 record under Bickerstaff. He previously was also an assistant for 11 seasons, serving with Charlotte, Minnesota and Houston. His fat father Bernie Bickerstaff was both a head coach and league executive.